One: ​This is the day that the Lord has made. All: ​Let us rejoice and be glad in it. One: The crucified one is risen in glory. All: ​The stone that the builders rejected has become the chief cornerstone. One: This is the Lord’s doing. All:​It is marvelous in our eyes. One: Let us rejoice and be glad in it. Children’s Time –After prayers – Sing the Children out “Jesus Loves Me” Children 5 and under are welcome to remain in worship or go to the nursery at this time. Please Note: Monday night movie/potluck will begin on April 9th. At 5:30 pm. Bring a dish to pass and enjoy the fellowship. All are welcome. As you enter the sanctuary please be respectful of the quietness of this time. Response: Jesus, help us to know the beauty and truth of our​ relationships with neighbors, with creation and​​ ultimately with you. to stand by those in our lives who suffer, and we​will not abandon them. Response: Lord Jesus, crucified and risen, have mercy on us.​Help us walk in your steps. Response: Jesus, when we encounter situations of people’s dignity​being violated by violence, by bullying or​​​discrimination, we will always think of you. Help us to​do what we can to stand up for our brothers and sisters​as we would for you. Response: Jesus, on your lacerated shoulders lies the weight of​the shamefulness of our sin and pain, help us​​remember that, with your help, we do have what it​takes to soothe our neighbor’s pain and to help​​shoulder the burden they bear. Response: ​Jesus, we are not sure that we can forgive the way​that you do. But we know we must. Save us from​our fear of letting go. Heal our hearts so that we​can forgive those who have hurt each other. Following our Good Friday Service please exit the sanctuary in silence until you are in the Fellowship Hall. One: This is the day that the Lord has made! All: ​Let us rejoice and be glad in it! One: Open wide the gates of your hearts. All: ​Let the Savior enter! One: Wave your palm branches and shout with joy all you​people. All: ​Hosanna to the blessed Son of God! After prayers – Sing the Children out “Jesus Loves Me” Children 5 and under are welcome to remain in worship or go to the nursery at this time. One: God’s mercy floods over us. All: ​Lord, wash me clean of the pain in my life. One: God’s love pours into us. All: ​Lord, pour your love into every pore of my being. One: Let the love and mercy of God reign in your heart today. All: ​Be with me, Lord, and guide my life. AMEN. One: We give praise to our God who knew us before we had​breath. All: ​We delight in the Lord who guides us still. One: ​God, help us to live as you would have us live. All: ​Give us obedient hearts. One: ​As we gather today for worship, we know injustice rains down on your people. One: As we celebrate this day, we know so many who suffer​​needlessly. All: Remind us, God, to walk humbly with you. Children’s Time – “We Can Do Little Things to Change the World.” After prayers – Sing the Children out “Jesus Loves Me” Children 5 and under are welcome to remain in worship or go to the nursery at this time. One: We stand in the need of the presence of God. All: ​Our lives can so easily become corrupted by our own greed. One: But the Lord has heard our cries and calls us forward on​​this journey. All: ​Lord guide our steps. One: Come, let us worship God who is always with us. All: ​Let us open our hearts to the healing, restoring love of God. Amen. 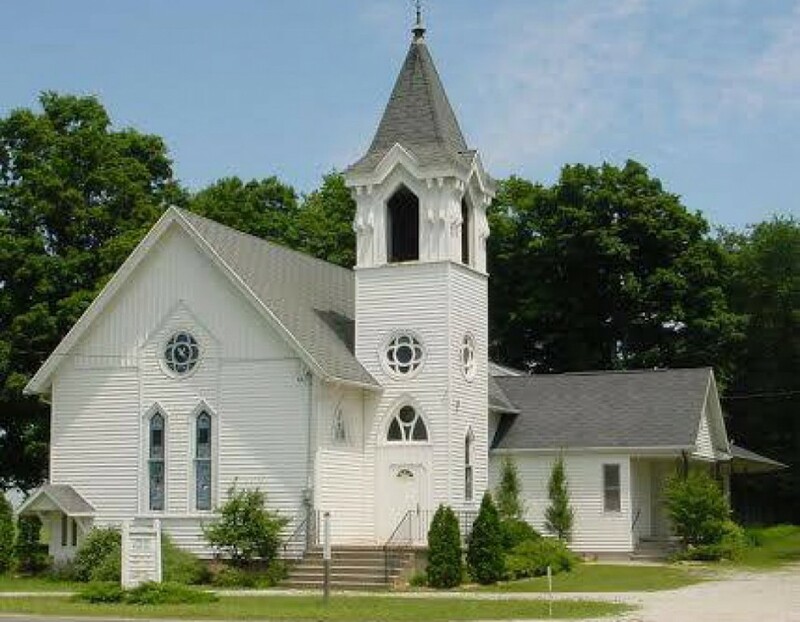 It has not been my practice to talk about giving at Claybanks United Methodist Church, because as a church, you have supported and blessed the church so that we have been able to support Claybanks United Methodist Church with all the resources it has needed. The Claybanks United Methodist Church has also supported special needs giving in many different ways such as providing food for our local food pantry, supporting those who have gone on missionary trips, sending children to camp and currently supporting the efforts of the Nigerian Well Project. UMCOR Sunday for many years was known as “One Great Hour of Sharing”. In 2016 our General Conference of the United Methodist Church approved a name change from One Great Hour of Sharing to UMCOR Sunday. UMCOR Sunday is one of six church wide special Sunday offerings of the United Methodist Church. UMCOR Sunday calls United Methodists to share the goodness of life with those who are hurting. UMCOR is the humanitarian arm of the United Methodist Church. The work of UMCOR reaches people in more than 80 countries, including the United States. THE work of UMCOR provides humanitarian relief when war, conflict or natural disaster disrupts life to such an extent that the communities have difficulty recovering on their own. Traditionally UMCOR Sunday is celebrated on the fourth Sunday of Lent. One of the four disciplines of Lent is that of assisting others showing God’s love and grace to a world in need. Let me answer a question that I get asked many times over. With so many types of solicitations that are requested of us, will what I give get to the people when disasters happen or life is interrupted? When asked to give to assist in humanitarian efforts, many people want to know “how much of what I give is received directly by those in need,”. When there are disasters that affect lives, such as the hurricanes we had last fall that hit a number of islands and the United States, we took up special offerings. One hundred percent of our offerings went directly to assist those in need. This happens because once a year on UMCOR Sunday we asked for special gifts to underwrite the administrative costs of UMCOR so that when disasters strike all that we give is used to assist those in need. Your gifts to UMCOR Sunday lays the foundation for the United Methodist Committee On Relief (UMCOR) to share God’s love with communities everywhere. These special offerings underwrite UMCOR’s “cost of doing business.” This helps UMCOR to keep the promise that 100% of any gift given to a special project request will go toward that project and not administrative cost. Looking back just a few years ago, when Hurricane Sandy hit the eastern coast of the United States, with the resources that we have and shared as United Methodists, UMCOR was there to help not only in cleanup but assist in the rebuilding of churches and community centers in the areas affected by the hurricane. Hurricane Sandy also hit Cuba and 100% of the donations given to relief for Hurricane Sandy also assisted in rebuilding of homes and 21 United Methodist Churches in Cuba. Our contributions collected on UMCOR Sunday ensures that we as the United Methodist Church can respond in times of crisis. UMCOR is the extension of the hands and feet of the United Methodist Church that helps restore and rebuild lives here and abroad. It is my prayer, my heart and my duty as your pastor to ask you to support UMCOR Sunday on March 11th. On Sunday March 4th and on Sunday March 11th there will be envelopes in the pews to designate your offering to UMCOR. Because of your generosity, we, as the United Methodist Church, are able to offer aid in Jesus’ name to those who suffer. “I was hungry, and you gave me food to eat. I was thirsty, and you gave me a drink. I was a stranger and you welcomed me. I was naked, and you gave me clothes to wear. I was sick, and you took care of me. I was in prison and you visited me (Matthew 25:35-36).